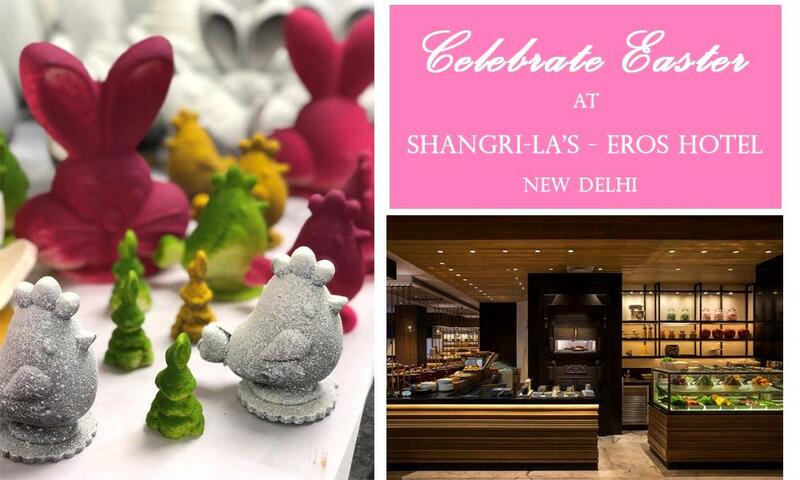 Celebrate Easter with Shangri-La’s – Eros Hotel, New Delhi. We are invited to celebrate this season of new beginnings with Tamra’s Easter Sunday Brunch. Blending tradition with world flavors in Tamra’s magical setting, specialties on the buffet would include Live Grills, Organic Egg Counter, Classic Easter Pudding and Pies, Springtime Desserts, Easy Egg Dishes and Easter Brunch Traditional favorites from interactive live kitchens and a special kids’ buffet. There will be giveaways and fun activities for children such as Easter egg hunting and tattoo making. A variety of delightful Easter goodies are also now available at Mister Chai. The selections of goodies include Chocolate Bunnies, Easter Eggs and designer Easter Cakes. For reservations, please call 91 11 41196955 or email tamra.slnd@shangri-la.com. Let’s wish this Easter will be a beginning of hope, renewal and new life.